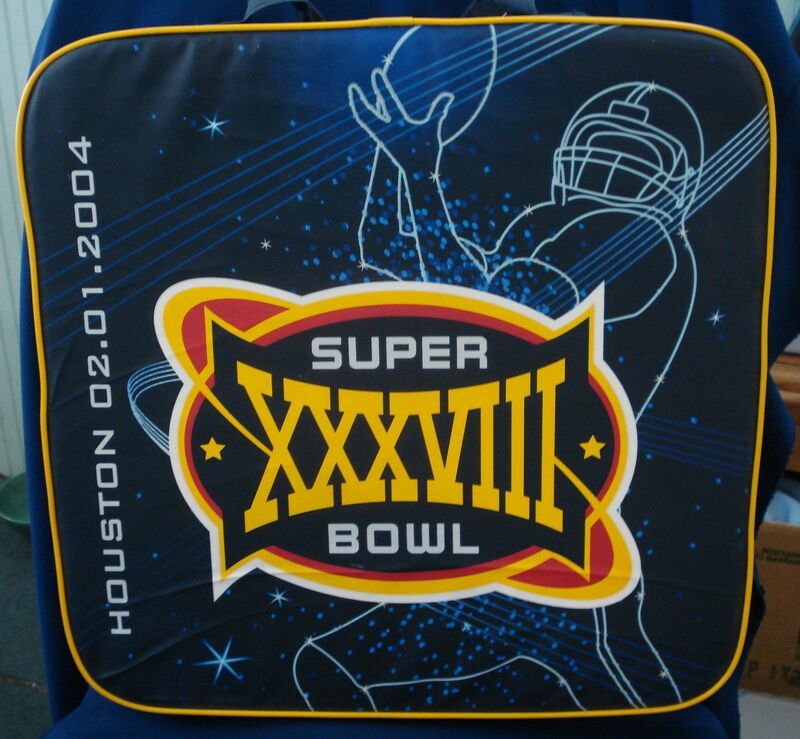 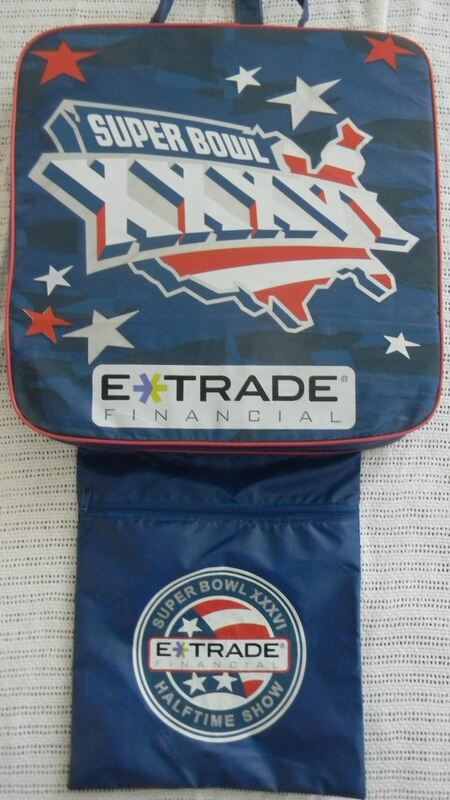 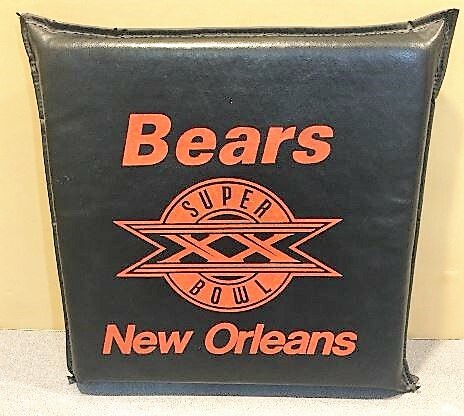 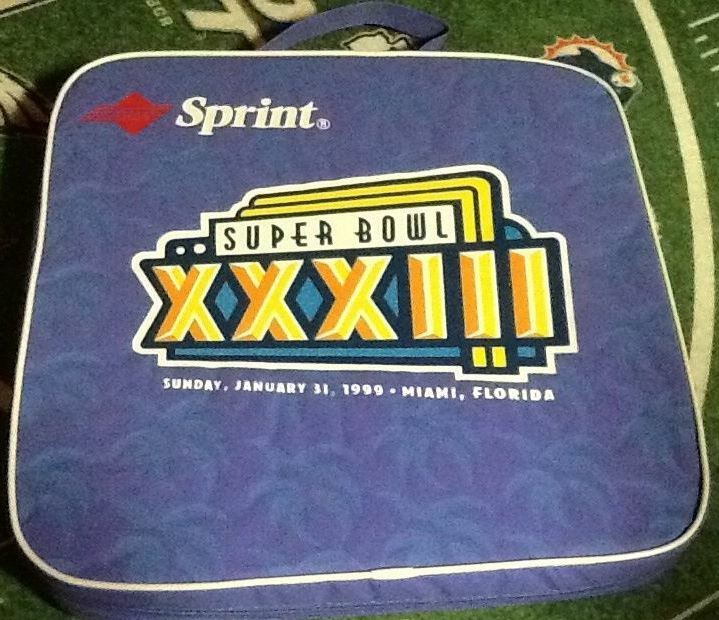 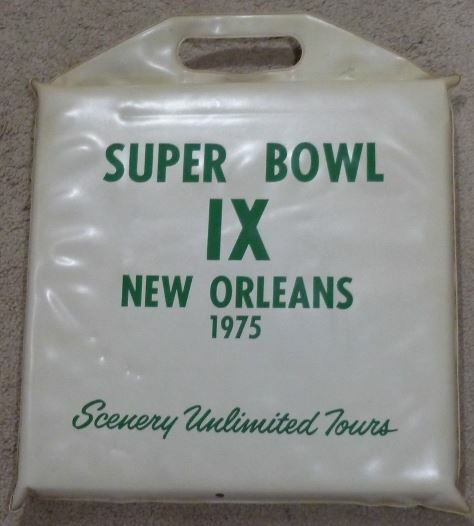 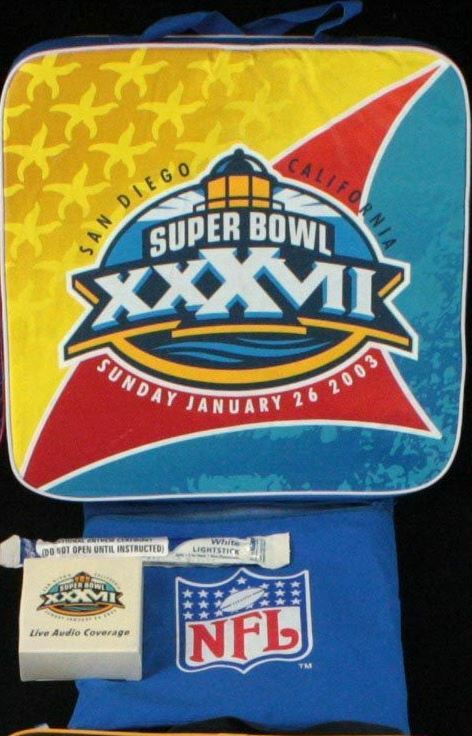 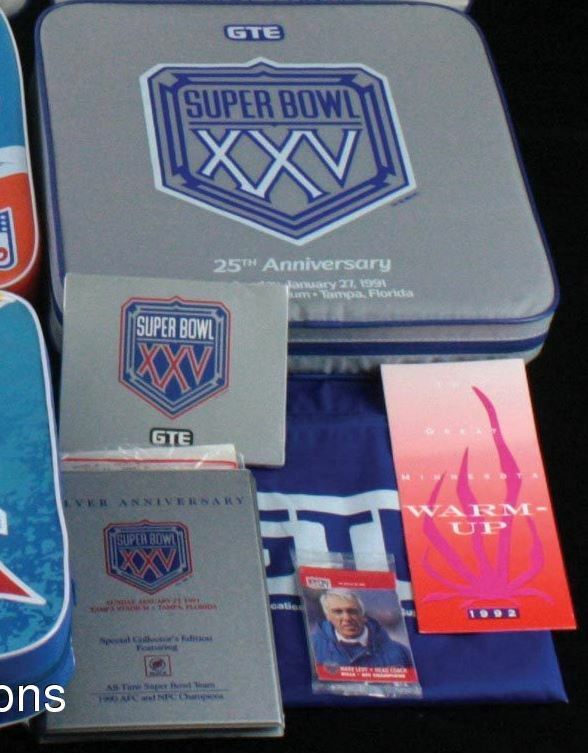 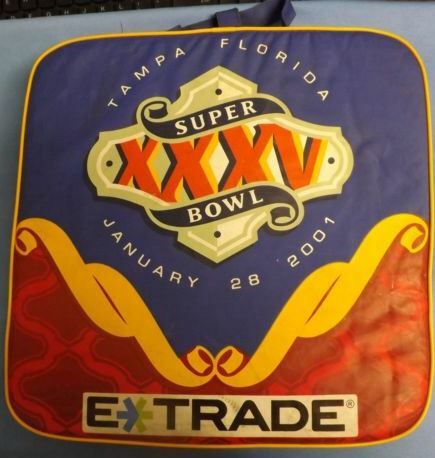 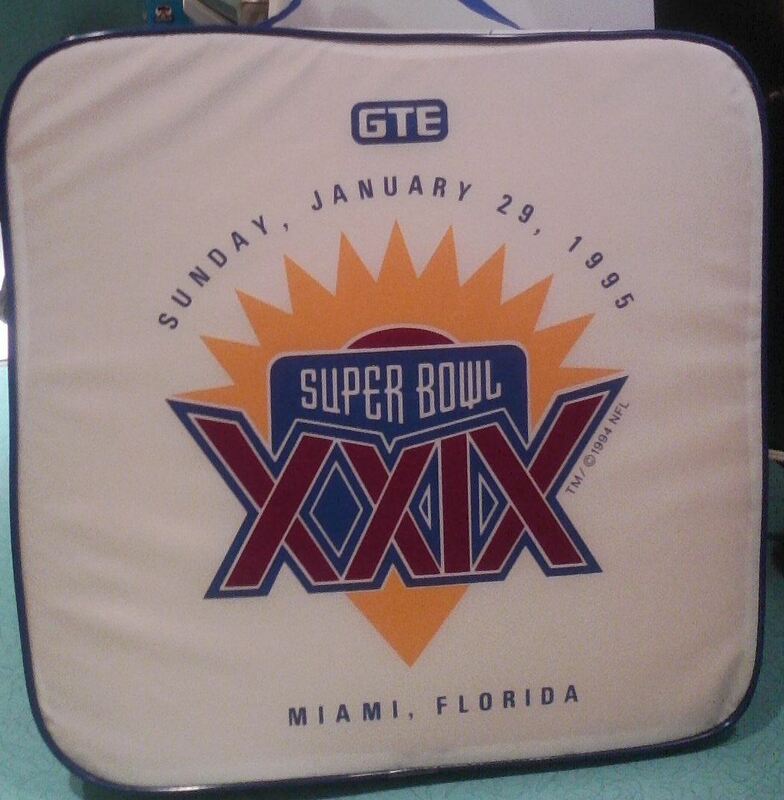 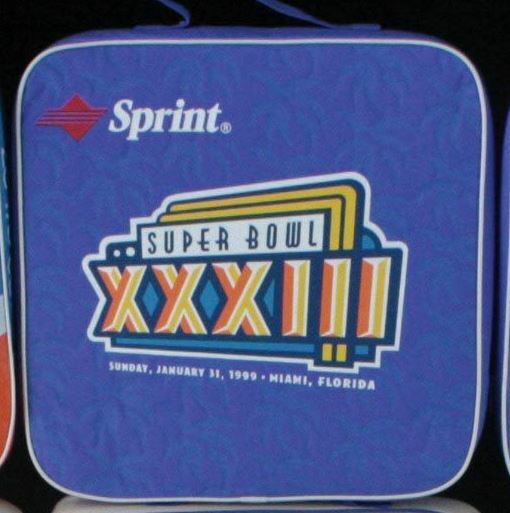 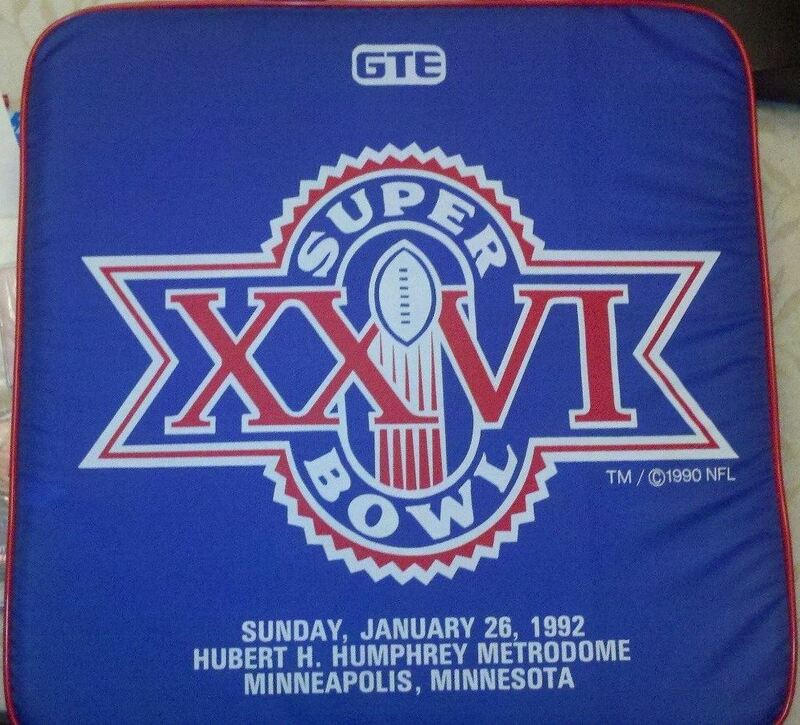 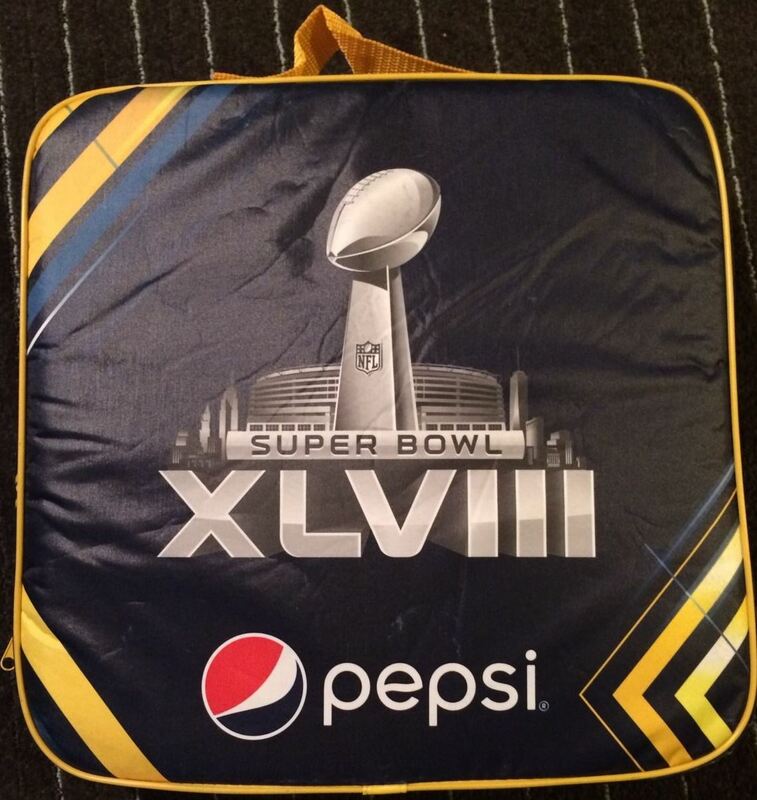 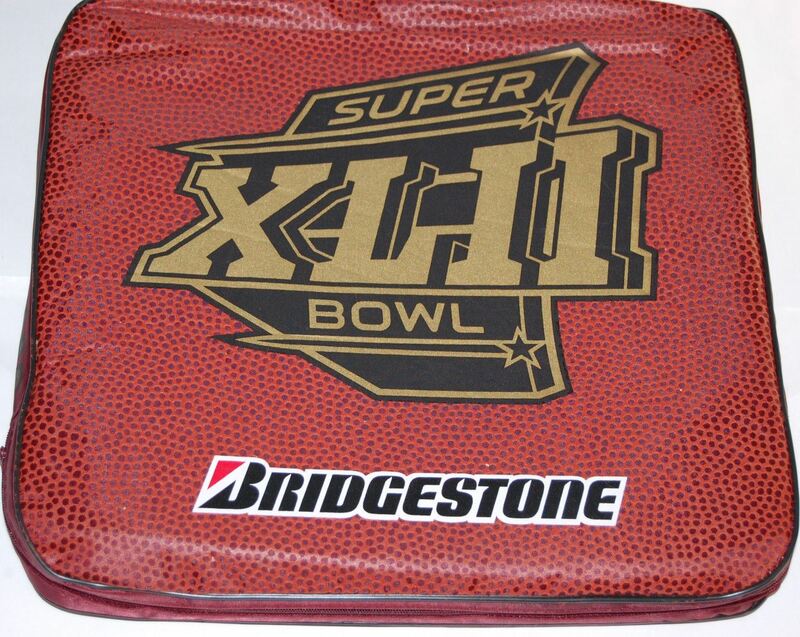 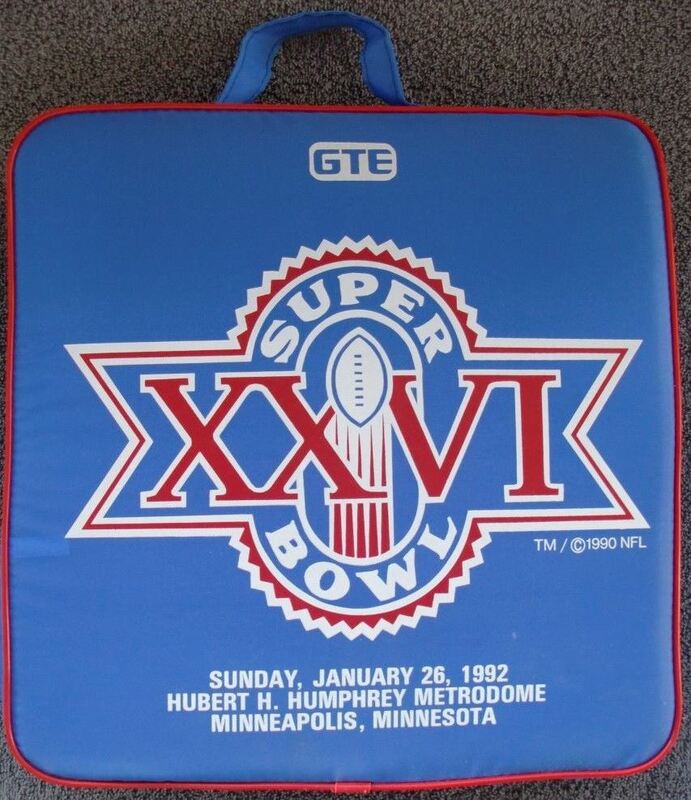 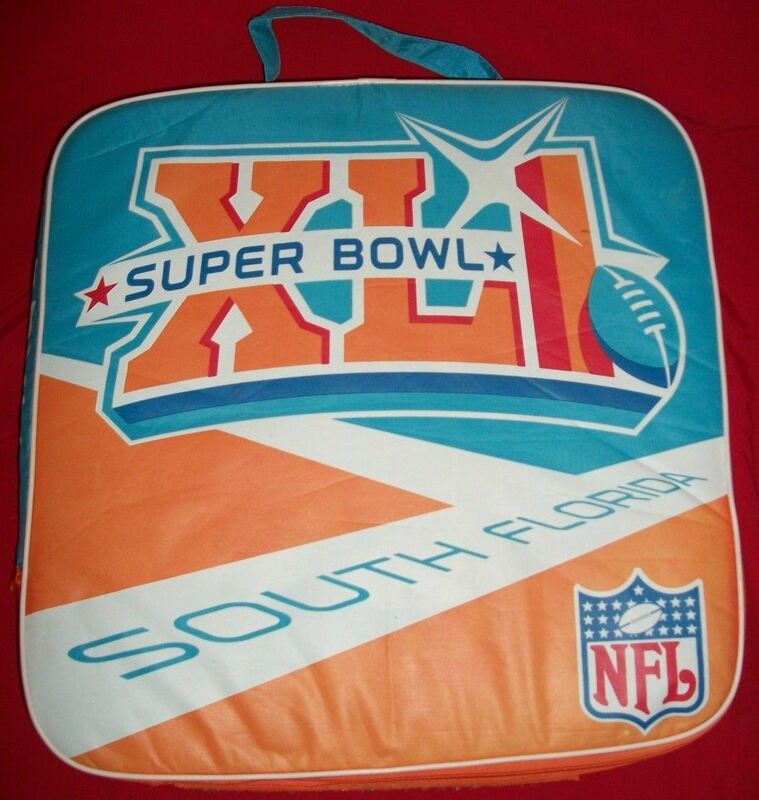 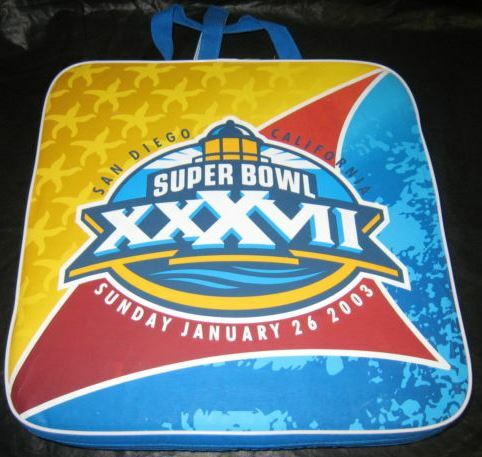 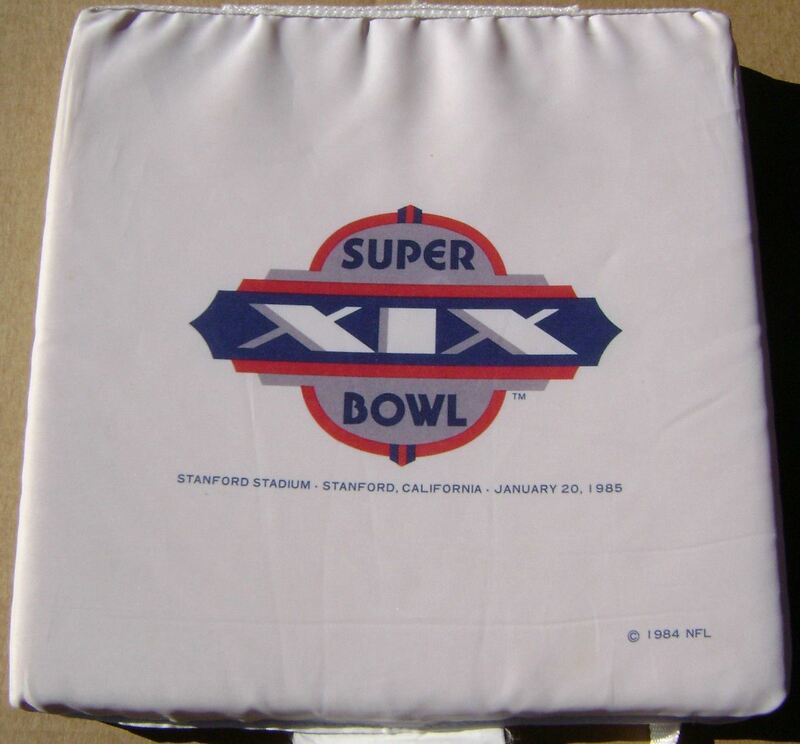 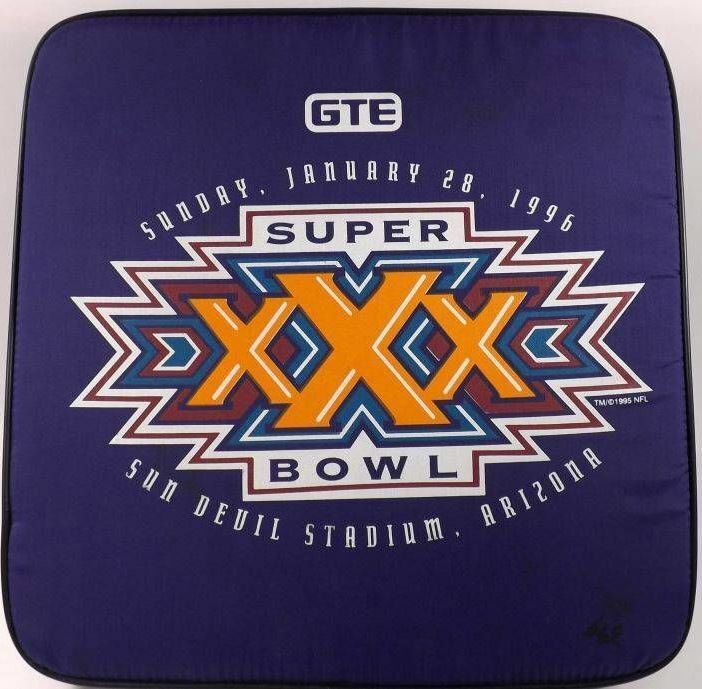 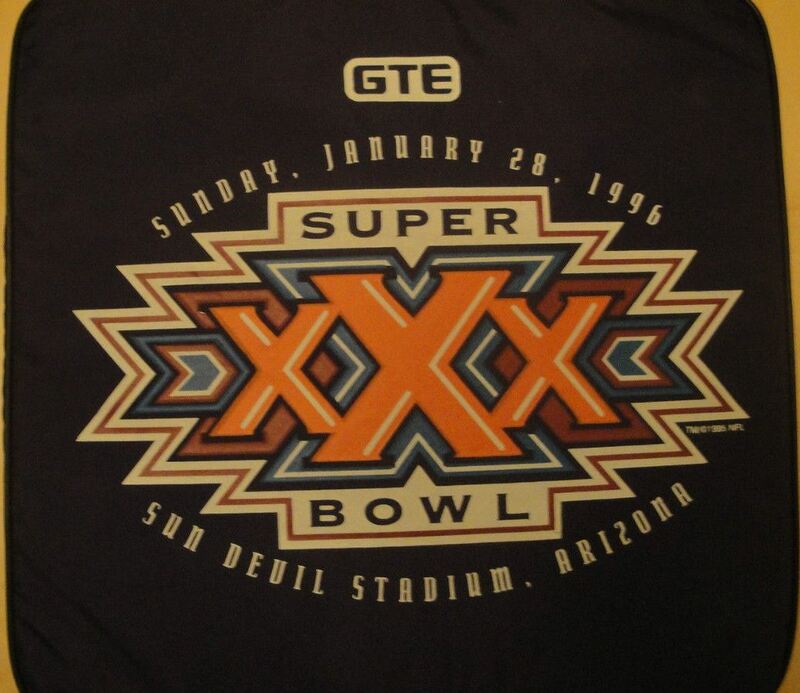 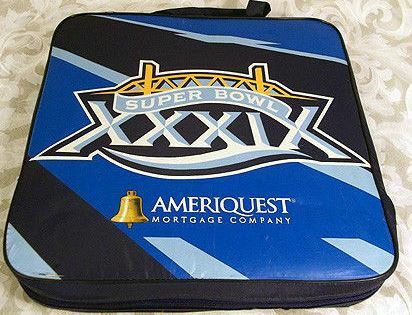 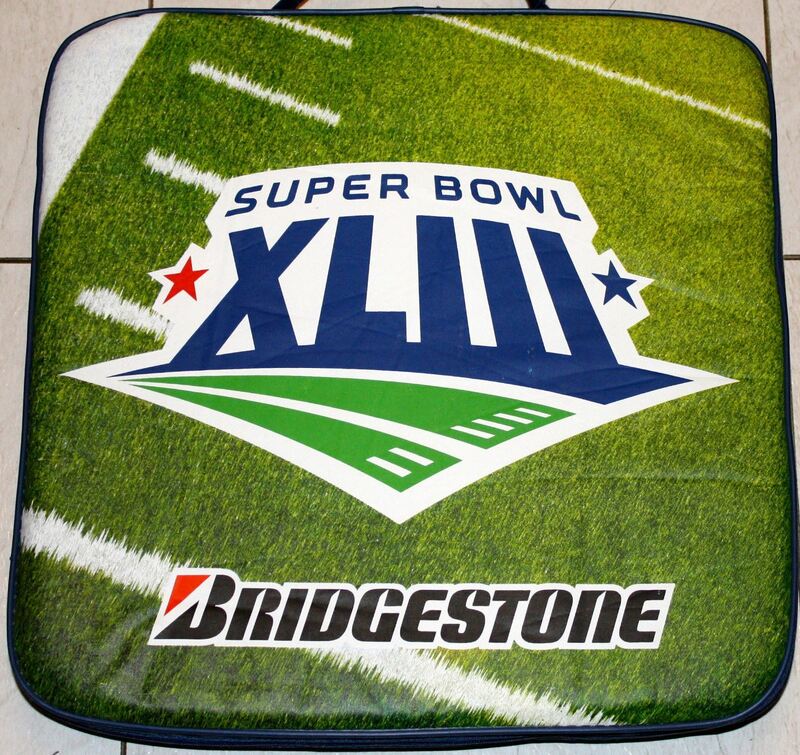 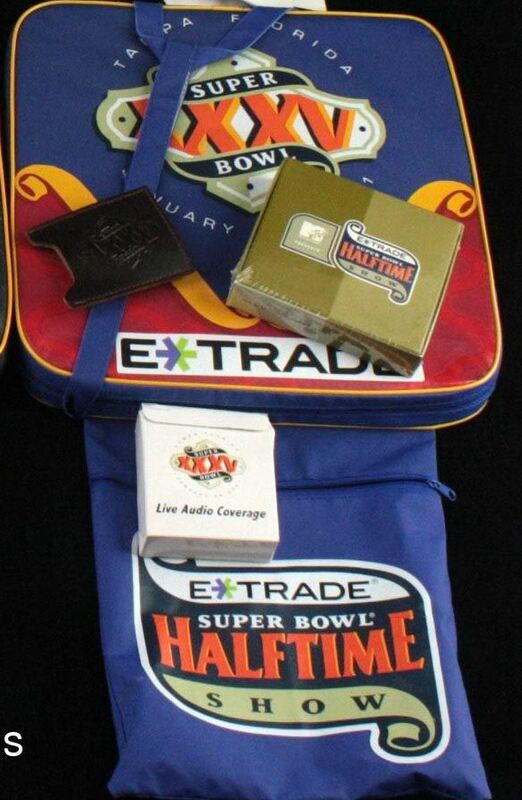 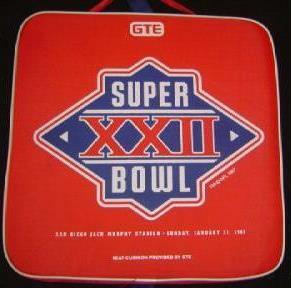 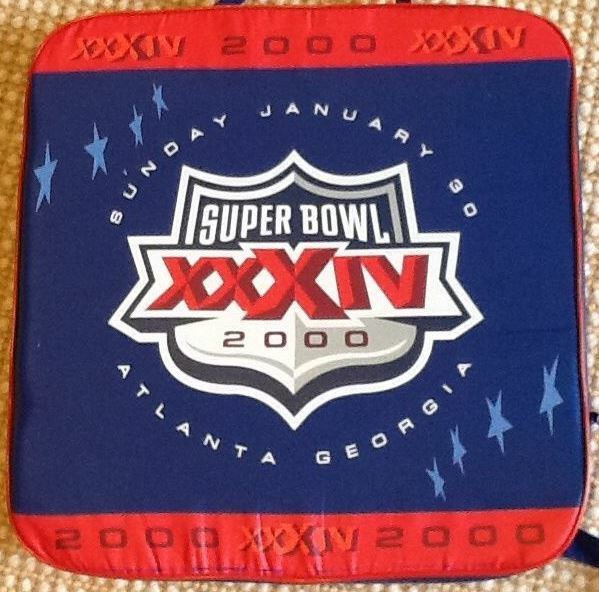 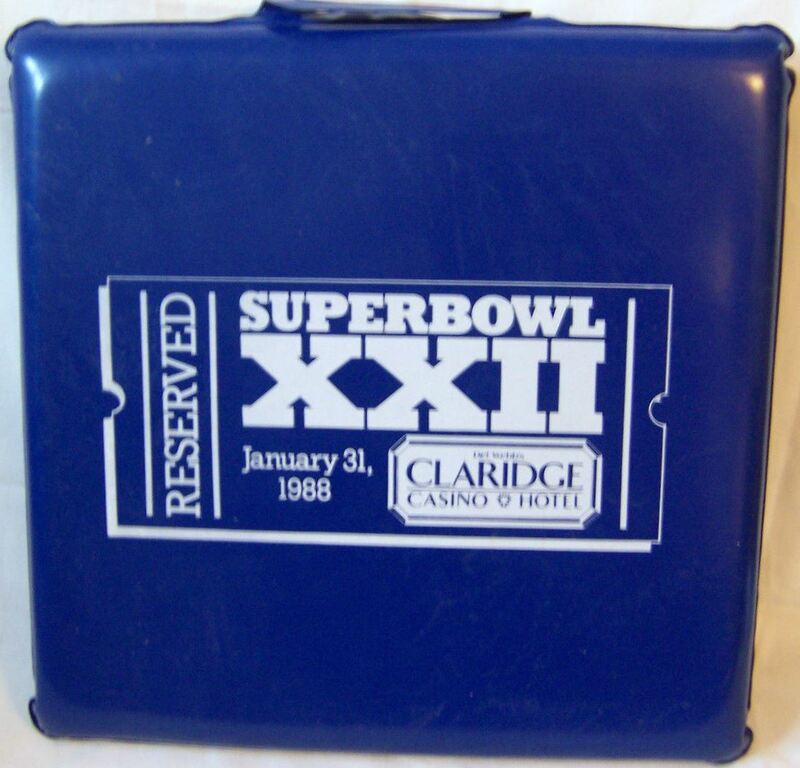 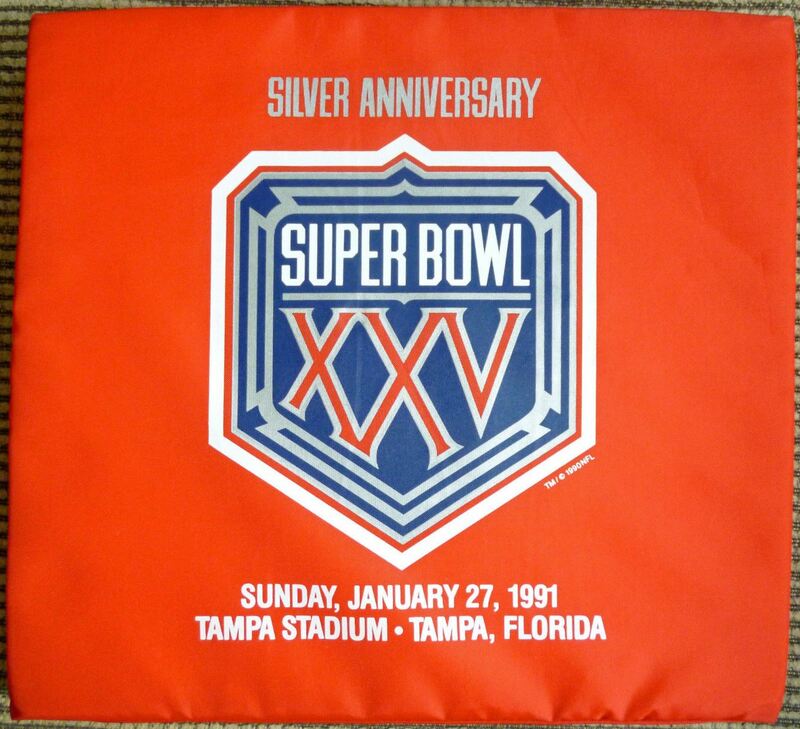 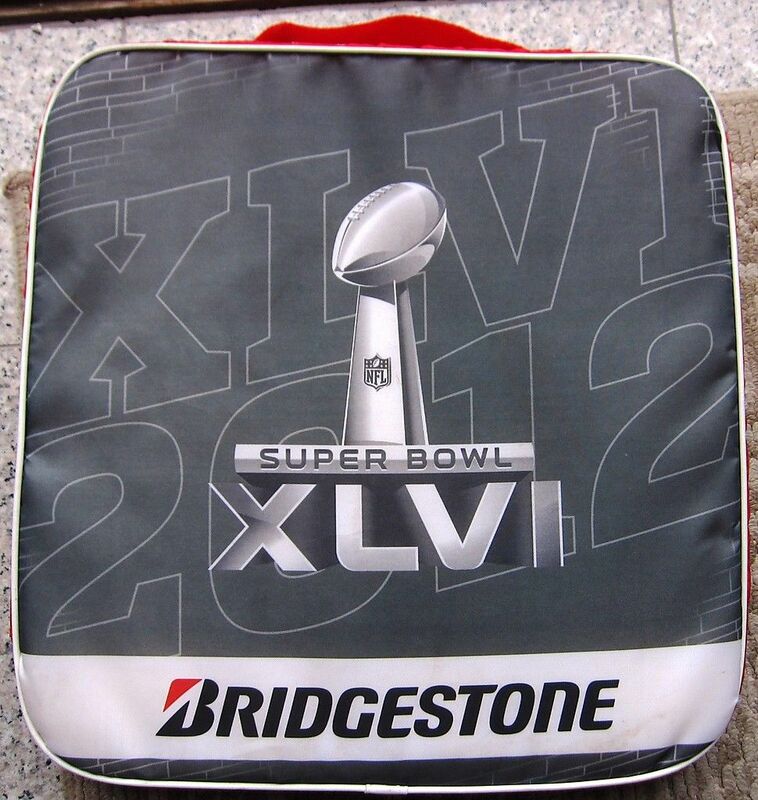 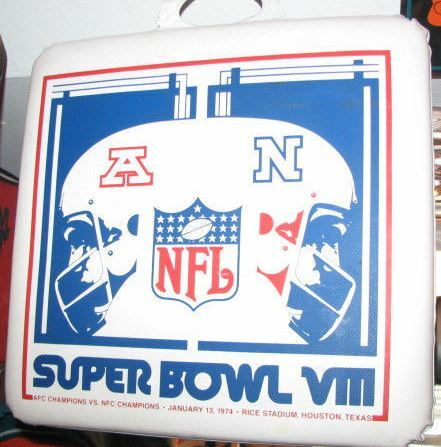 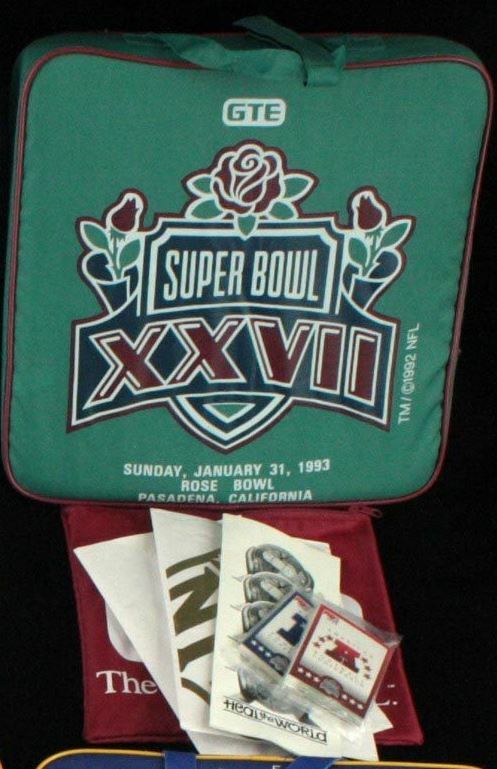 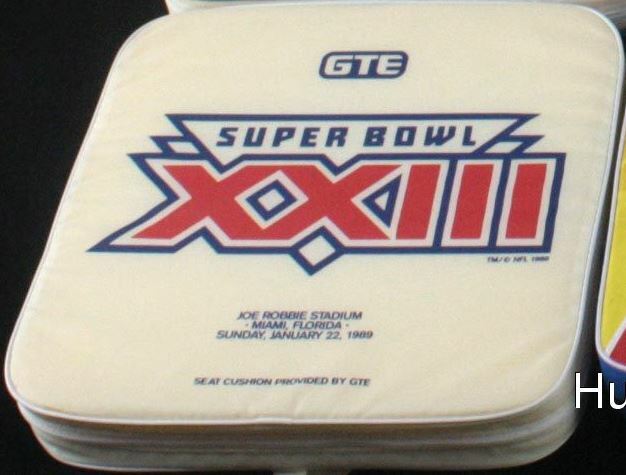 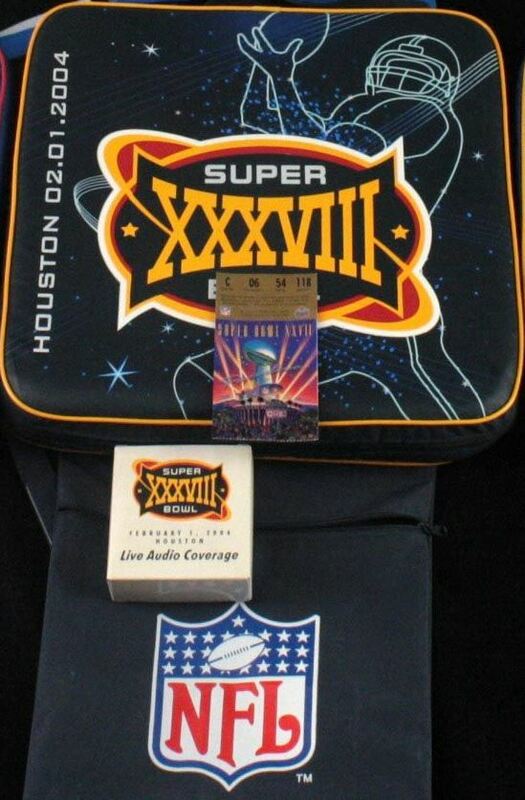 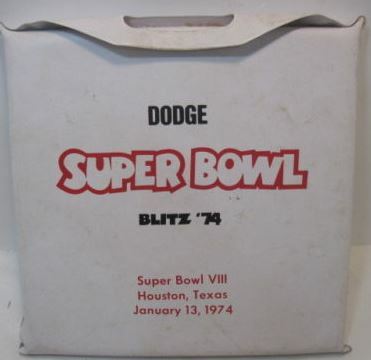 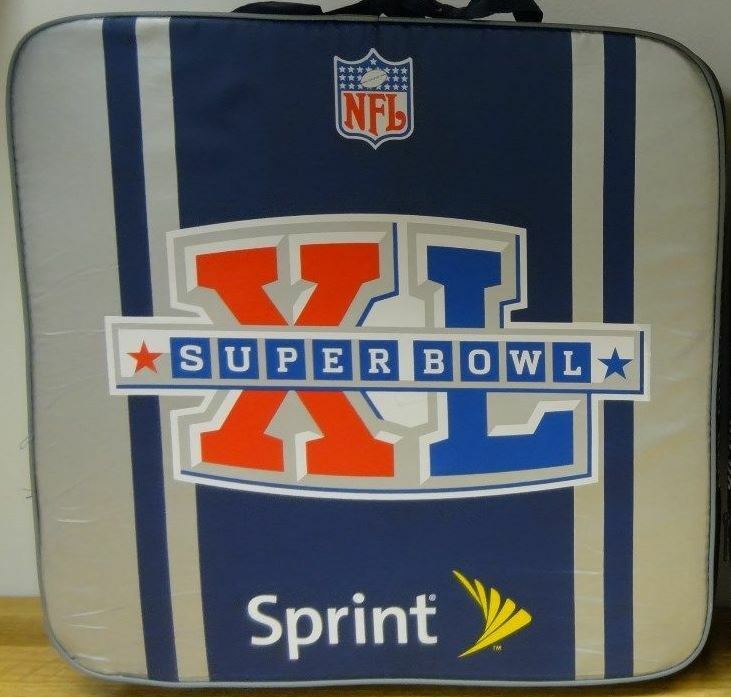 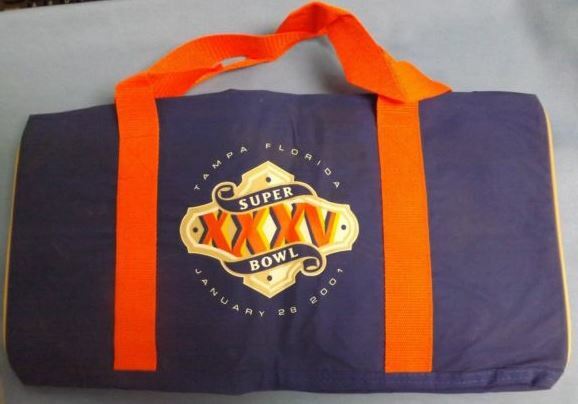 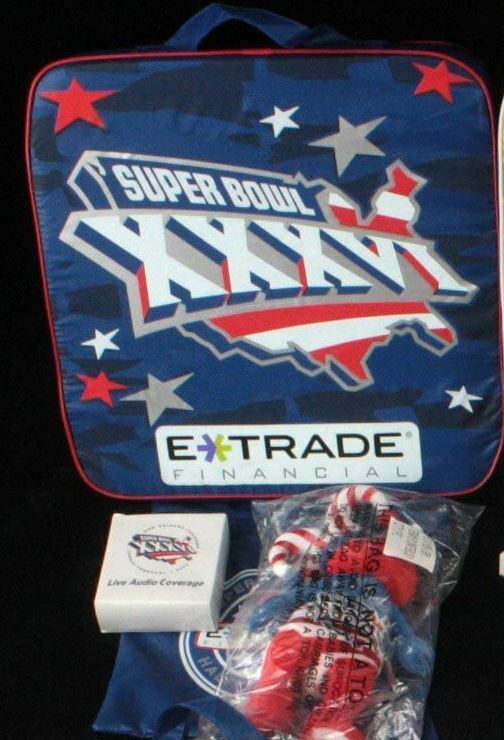 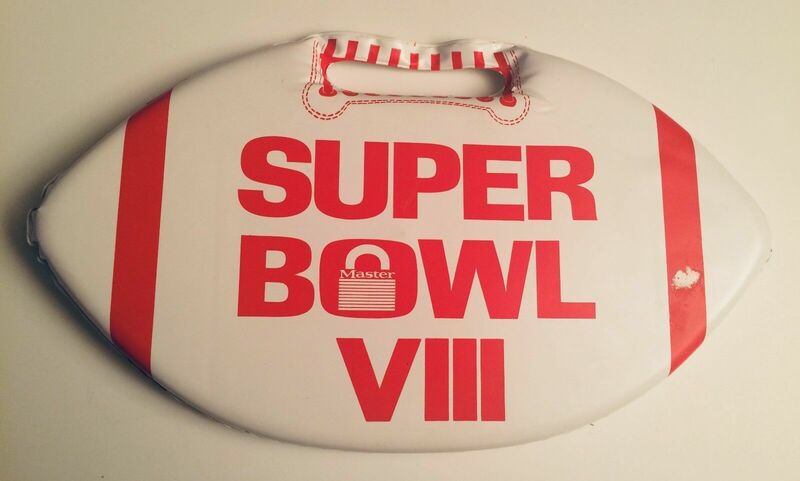 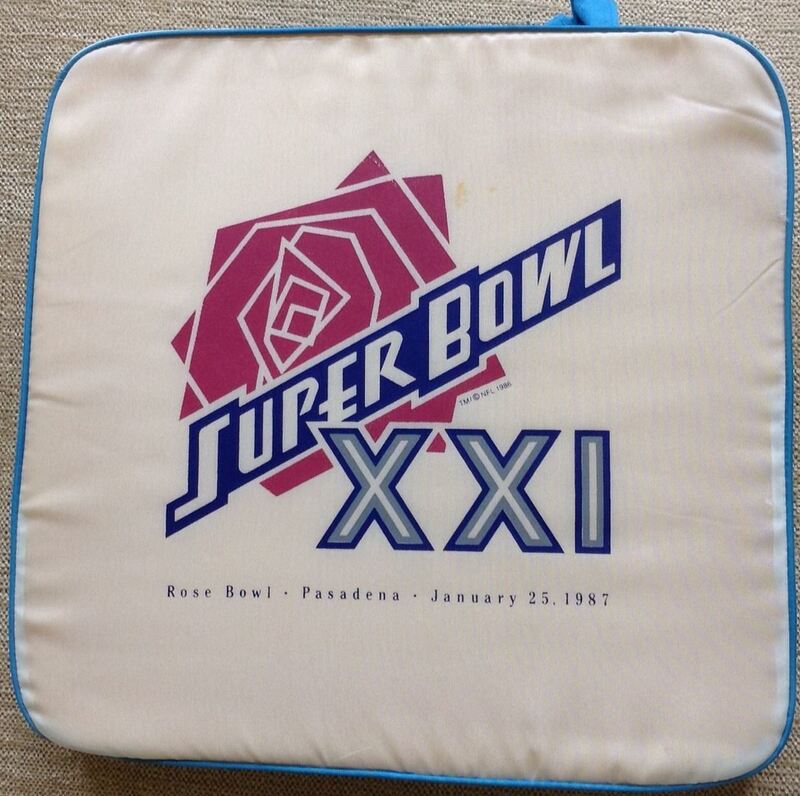 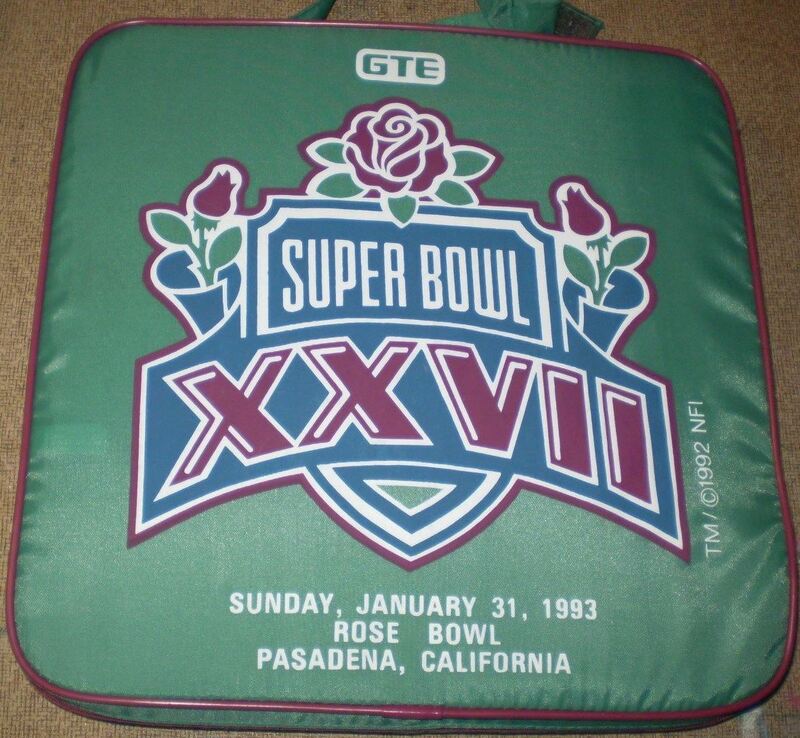 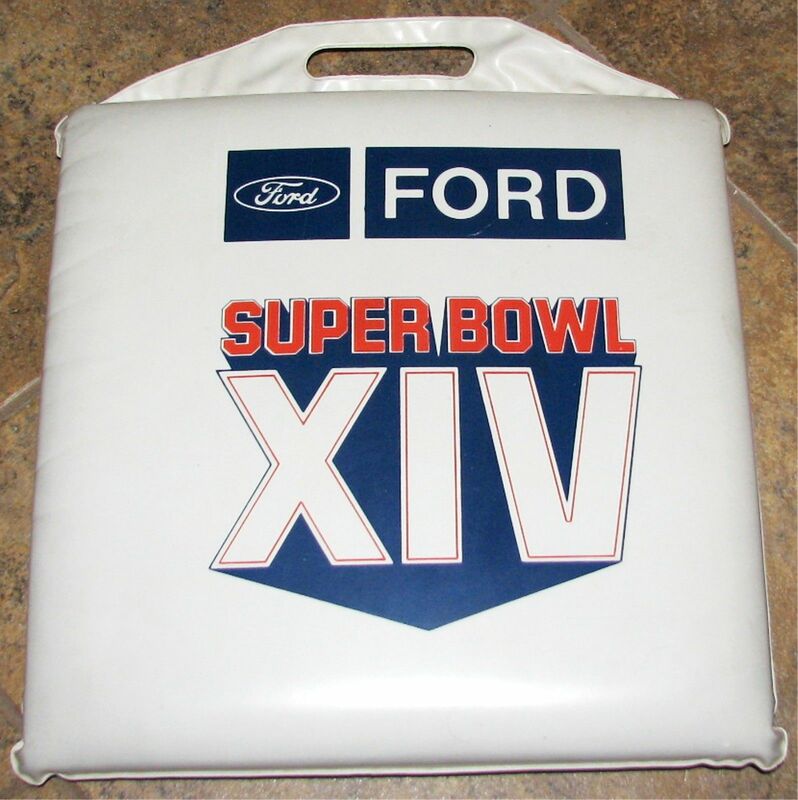 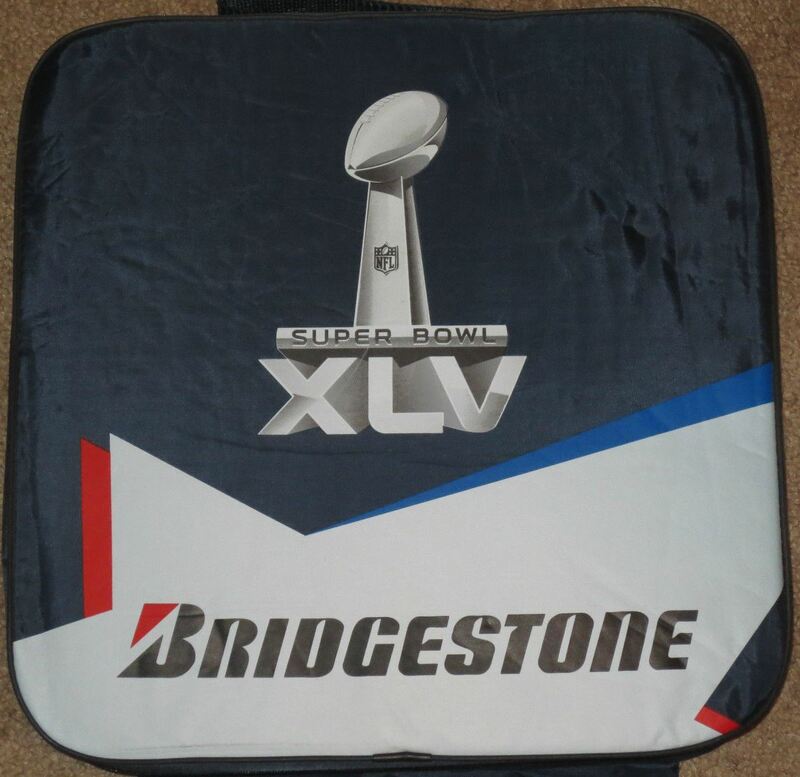 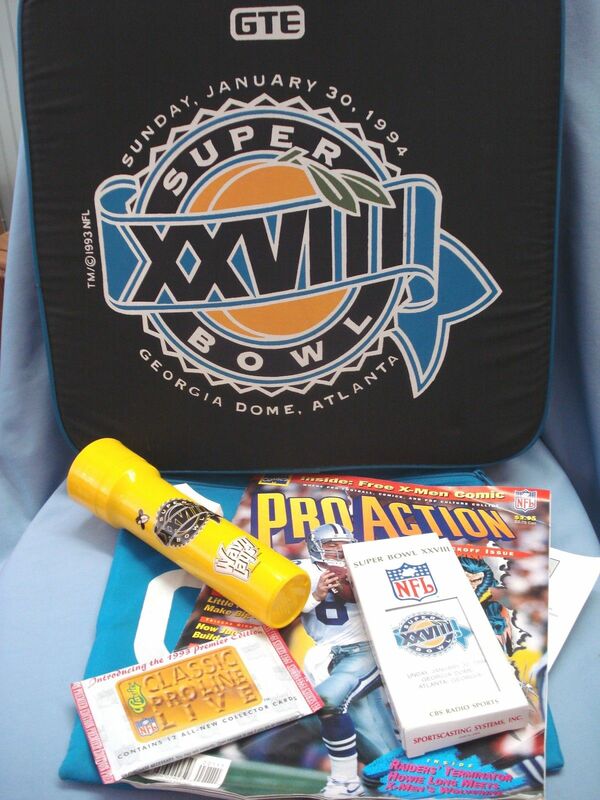 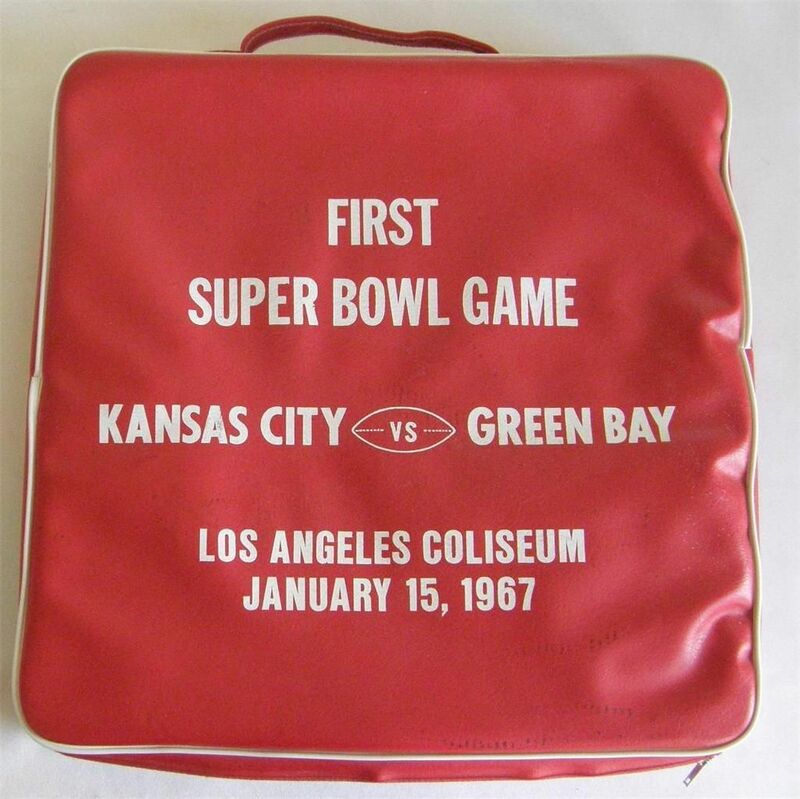 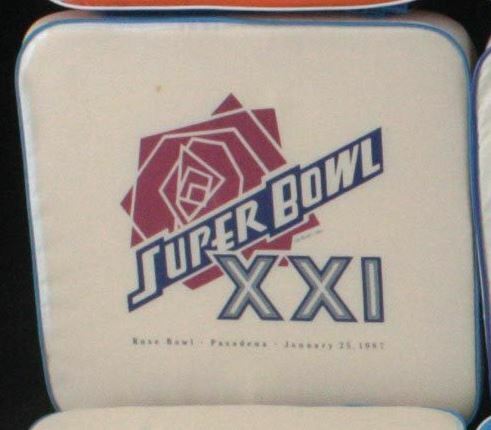 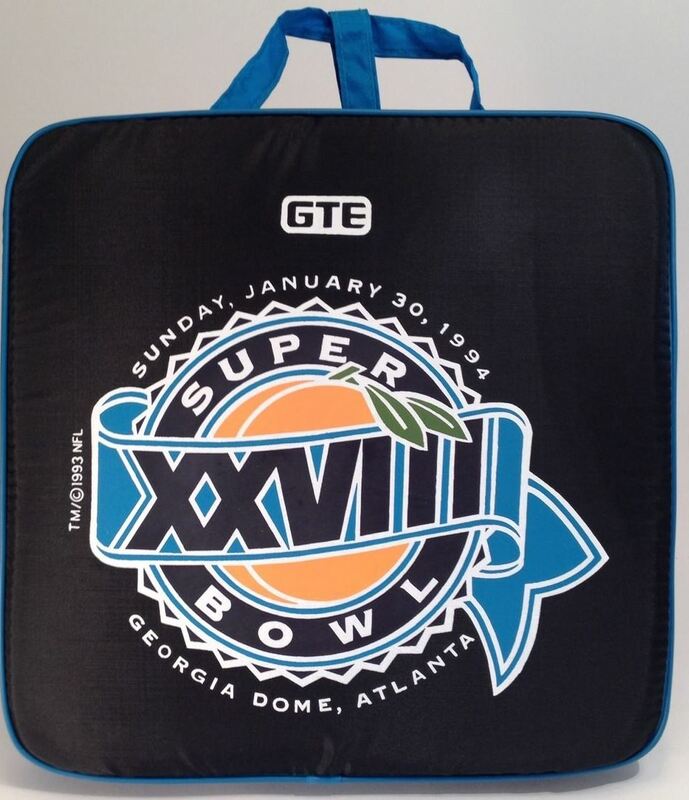 People attending the Super Bowl are given a cushion and/or bag containing items to commerate the game and recently with items to be utilized during the halftime show. 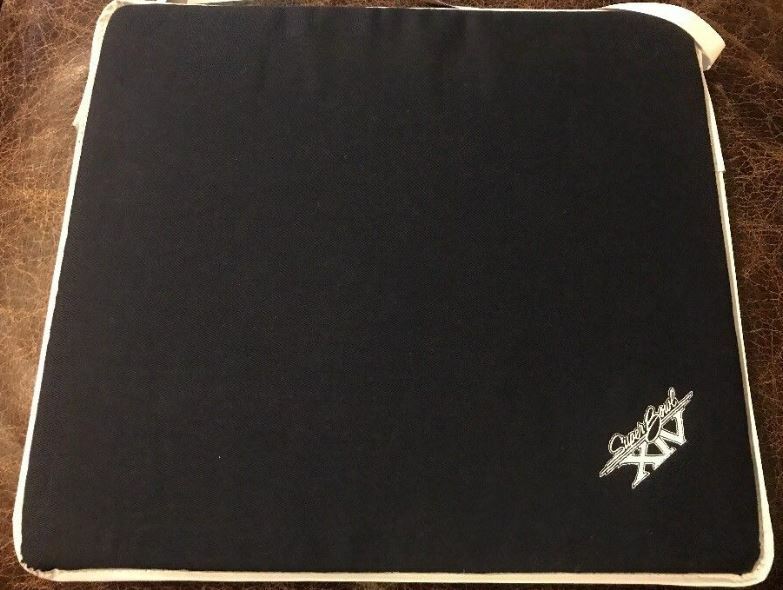 Cushions with all of their contents are more valuable then the cushion alone. 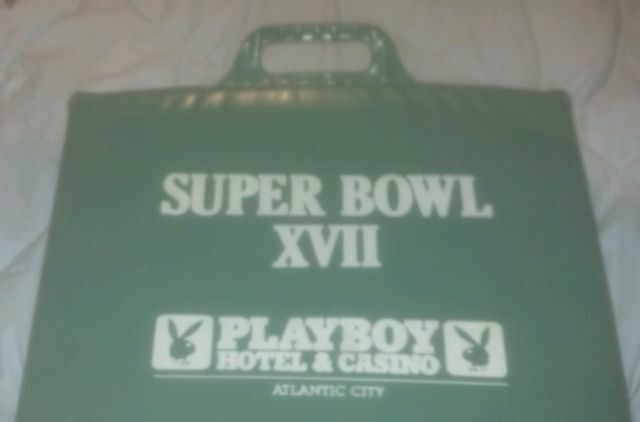 If you have one to add please email Webmaster with the information.